You might think Cheap Polaroid Camera means same as cheap instant camera. But it’s not. There is a slight difference and this cost you money if you have no idea about it. If you ask where you can buy a cheap Polaroid camera in Yahoo answers or anywhere else then 100’s of people will reply either you can get one from a theft shop or yard sale for $5 or any cheap Polaroid camera you might come up is not worth the money even if it’s just $5. They are correct in many ways but that’s not the whole story. That’s not the whole story and also that’s not 100% true. Main factor is not the camera price but the price price. The reason why old Polaroid cameras are not worth buying because instant film for those cameras are no longer in production. So you won’t able to find film for your camera. Lets say if you find old and expired film packs. still there’s big chance those film wouldn’t work. Batteries might be dead (Some instant cameras has batteries in film pack rather than in camera) or chemicals are long dried. This is why you have to be careful when you are buying some old Polaroid camera from yard sale or E-bay. Camera price is not everything. We are talking about Instant photo cameras so photo paper is not cheap. This is why you shouldn’t only look at the price tag of camera when you shopping for this type of camera. 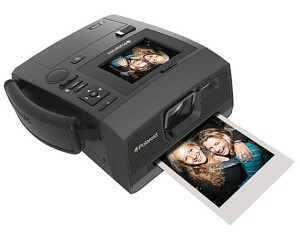 There are new Polaroid camera models which are digital instant cameras. These might not be cheap but long term these digital instant cameras would be lot cost effective because of the photo paper price. I will list here all the cheap Polaroid camera which out there with instant film available. But Camera price is not the main factor. It’s the instant film price. You will see camera prices are around $200 but it will worth long term because Polaroid film for these cameras cost you only around $0.50 per photo print when old cameras can cost more than $3 per photo print. If your budget is even less you can always consider Fujifilm Instax cameras. 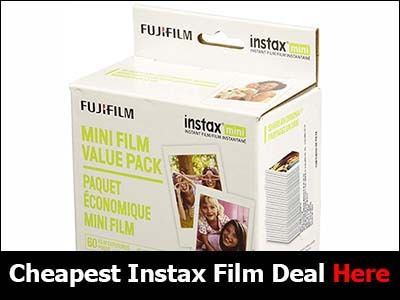 There are Fuji Instant film cameras from $70 to upward. These cheapest models are usually years old but there are very new models out there too. For example there is Instax 300 camera which is same as Instax 210 but comes with better design. It’s lot cheaper than any new Polaroid instant photo camera in market. 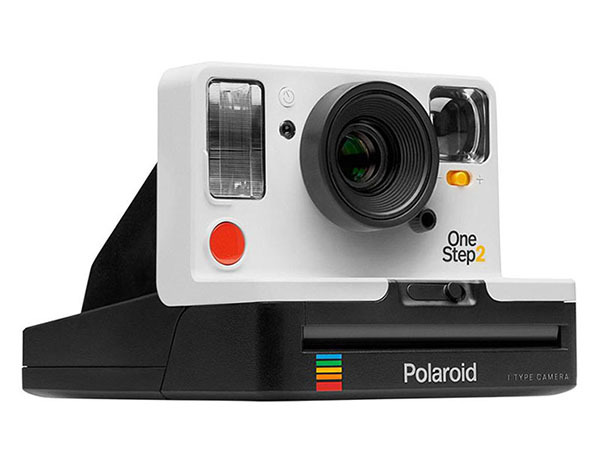 Now Polaroid Co. has taken over by Impossible Project Co. New Brand has emerged combining both these trademarks. It’s called Polaroid Originals. Their first camera released to market is Polaroid One Step 2 model. It’s an analog cam just like the predecessor. But comes with plenty of new features such as 2 foot to infinity lens, rechargeable battery, powerful flash, and a self-timer. Camera price is below $150 which put it among cheap instant camera models which use bigger film format. One Step 2 uses new Polaroid Originals 600 film and also old I Type film. New instant film gives you sharper and stronger colors so it’s a big improvement. Also, Film price has gone down too. (find the cheapest price for the film Here). 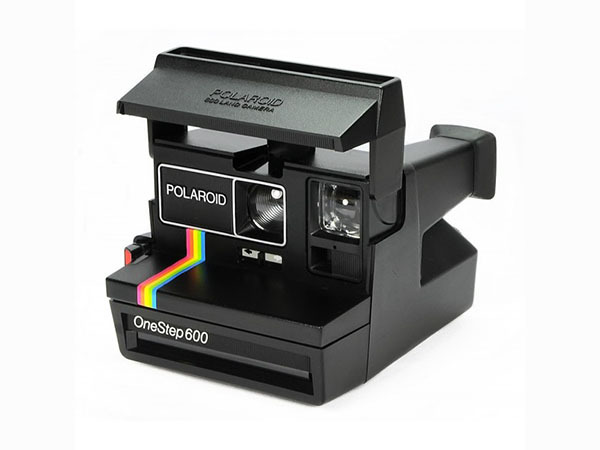 New Polaroid Originals instant film can be bought in both color and black & white formats. 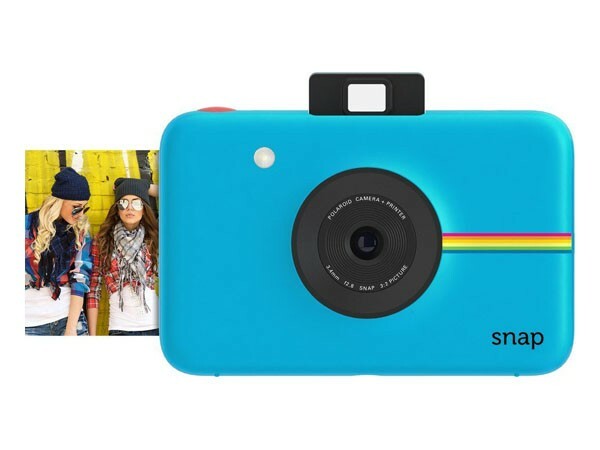 Polaroid Snap is the cheapest Polaroid camera in the market right now. Also, it’s the cheapest instant digital camera in the market. A very slim camera which even fit into your shirt pocket. It comes with a10-Megapixel Sensor. Images can be saved into Micro SD Card (up to 32GB). Snap is powered by an In-built Lithium battery and there is a Battery low indicator too. It has all standard features such as Self-timer, also 6 picture modes etc. There is a special feature called Photobooth mode in this model. Many of you who either had an instant camera decades ago or who want a similar camera might be interested in this Polaroid z340 camera model. This cameras print format is 3×4 which is very close to old Polaroid film formats. So if you the one who dislike new credit card size photo prints then z340 the camera for you. It’s a digital instant camera and it uses Polaroids new 3×4 Zink Zero photo paper. This new Polaroid instant film is way better than any type of old film. It’s cheaper too. You can buy 30 photo paper pack from Amazon for less than $19 with free shipping. Polaroid z340 used to be wedding planners choice. It was a great workhorse and cheaper alternative for a photo booth. But it comes with a very high price tag. If you are looking for an instant cam for a wedding or even then better go for Polaroid Originals One Step 2 model. It’s a lot cheaper and you get film for cheaper too. Polaroid Z2300 camera is cheaper than the z340. This camera is pocket size digital instant camera which you can buy for less than $200 (around $180) from Amazon with no shipping charges. It comes with 10 MP sensor and 3 inch LCD screen. This is another Polaroid digital instant camera so you can use an SDHC memory card (up to 32GB) to save your photos. 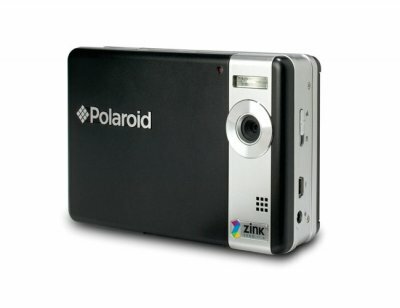 Z2300 uses Polaroid 2×3″ Premium ZINK Photo paper which is borderless unlike Pogo Zero ink photo paper. It’s credit card size format similar to Fujifilm Instax Mini film. Also, these are sticky-backed photo paper so you can stick these in your wall or in a photo book without a problem. A 50 photo paper pack cost you around $24 at Amazon with zero shipping fees. Update : This cam is way too outdated so better not buy. If you want an instant digital camera then always go for the latest model. 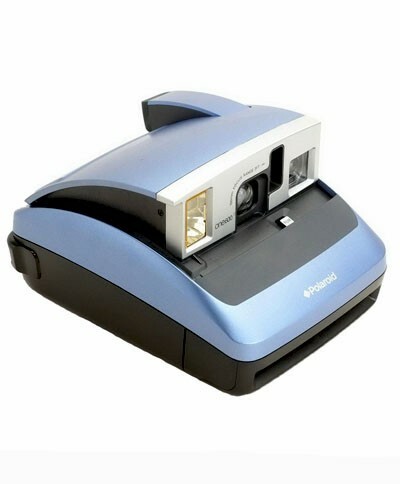 PoGo camera is also known as Polaroid z230E. This is the first instant Digital camera Polaroid has built and also the reason for the downfall of Analog instant photo cameras like 600 series. It’s pretty much similar to the new Z2300. One major difference is the PoGo model has just a 5 Megapixel digital sensor. So you get better quality photos with z2300. Not recommending this model. It’s already discontinued by Polaroid so its really hard to find these in stores. Also insanely expensive too. At Amazon, this camera (Click Image Above) cost you around $350-$400 these days. The reason for this ultra expensiveness is it had been the only camera with Bluetooth feature. 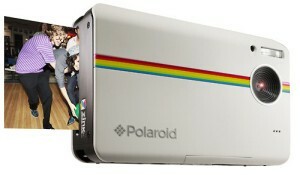 But since now Polaroid Socialmatic Camera has arrived in the market, this will lose its place. It’s mentioned in begin of this post buying one of these old analog instant cameras is not a practical thing. But as a Polaroid instant film cameras these usually are the cheapest you can get. The downside is, original Polaroid 600 film is long gone. Those can be found in stores are long expired. But Impossible Project Co. makes the instant film for three old analog Polaroid cameras including 600 series. So you can use the Impossible Project 600 film for any Polaroid 600 series camera. Price will be more expensive than Fujifilm Instax WIDE film or Polaroid Zink Media 3×4 photo paper. This is why it’s not so good as a cheap instant camera. There are dozens of Polaroid 600 limited edition cameras made for different themes. Most of these instant cams should be still working. I like this new Polaroid One Step 2 camera. It looks really cute. But it looks more of a SX-70 camera than a type 600 model. This one looks exactly like the old Polaroid 1000 Land Camera which is a SX-70 model. What I don’t like is Polaroid Originals 600 Film packs are still expensive. Okey now it’s below 20 usd but still it’s a costly. I really hope these instant film prices will be low as 1 usd per photo at least. So more people could afford these instant cameras and film packs. Also I wish they had film for my old Polaroid Highlander. Well my 3 year old daughter wish there were Unicorns in backyard. I guess u can’t expect too much. So there are analog instant cameras and digital instant camera. These days prices seems all same. So which is better ? For example I want to buy an Polaroid camera for my grand daughter. She is 7 years old. Not sure if I take a Digital instant camera or one of those older models. I don’t want an expensive model. Just a good cheap Polaroid camera. A camera which I can for around 100-110 usd ? Also cheap instant film too. I wonder which camera does take the cheapest instant film ? few years back each print costed about 3-5 usd that’s too much.